Hello loves! I know January just started and it feels a little early to be thinking of Valentine’s day but it will be here before you know it. I wanted to help you guys out with a Valentine’s day gift idea that will be perfect for that special someone in your life or even as a gift to yourself. I know finding that special gift can be a little stressful. But it doesn’t have to be if you start shopping a few weeks before. Another tip I have is to stick with the basics. Go for something that you know he’ll use on a weekly basis. Whether it’s a beautiful timepiece like a Jord wood watch or a nice pair of headphones he’s been wanting. 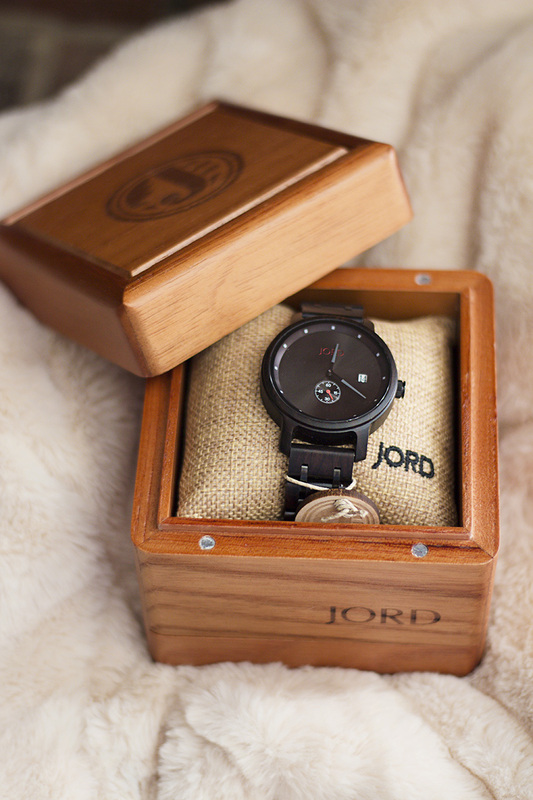 Jord gifted me one of their wood watches a month ago and it arrived in a beautifully crafted box. When I opened the box I was blown away by the details and the fact that it’s made out of wood. The style that I got is the Hyde in ebony & iron. It’s meant for guys but as you know I love to incorporate men's items into my outfits (like in this post). I went with the Hyde series because the style is very clean and minimal. 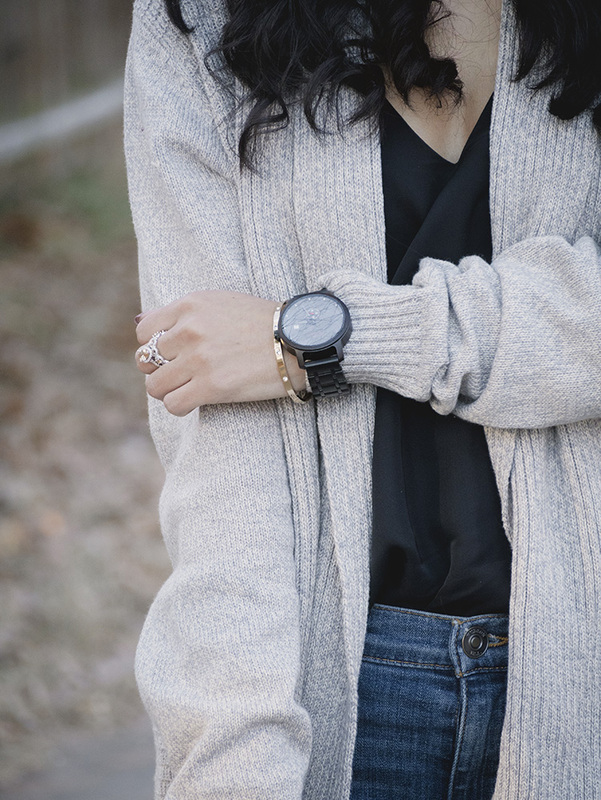 This wood watch is the perfect way to add a little masculine touch to any of my outfits. My boyfriend is also a huge fan of my wood watch. He’s more into smartwatches but he made an exception for this one because it’s just too beautiful to not love. Whenever I’m not wearing it you can find it on his wrist haha. Now for the fun part! You can win a $100 gift card to get your very own wood watch! You can enter the giveaway HERE. All you have to do is fill out the form with your name, email and your favorite watch. Even if you don’t win you still get 10% off emailed to you just for entering. The giveaway ends on January 21st 2018. Good luck babes!